Big Fat Alien, a Kelowna based indie game development studio is coming up with new fun space explorer and platformer for Linux in this April called BEEP. 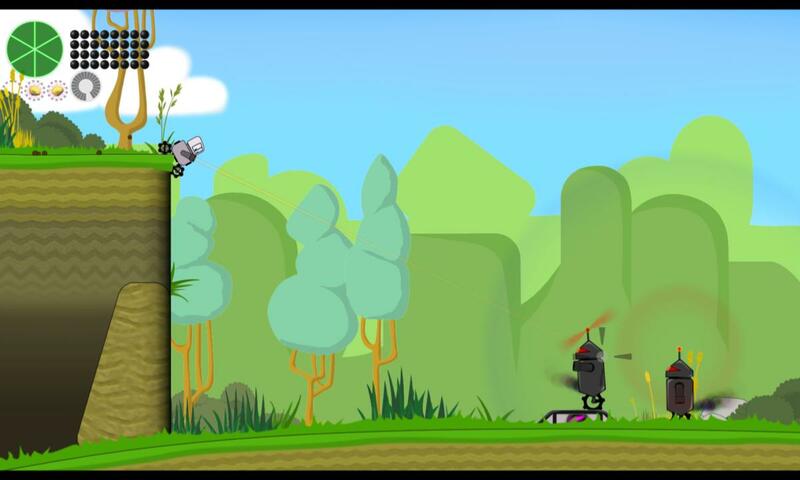 In this game you play a role of robot that is sent to space to explore and find what lies beyond earth. You are in control of a space ship that can travel in the solar system. Land on any planet or a mass of land and your adventure starts. 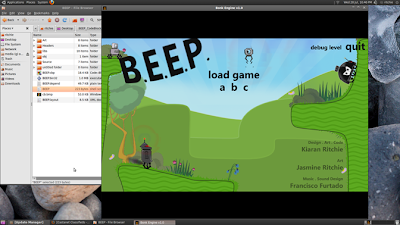 BEEP is really fun and what attracts you after 15-20 minutes of gameplay is its cartoony style, awesome soundtrack, game physics and innovative gameplay mechanics that even gives you control of objects using anti-gravity device. As of now a demo is available but it is only for Windows. But the final version that will be released in April will have Linux and Mac versions as well. I ran the demo in Wine without any problems and was totally immersed into the gameplay for half an hour. The game runs really smoothly and feels very streamlined with responsive controls on keyboard. I bet it will be more fun with a decent game controller. Get the demo from here and try it in Wine or in a Windows installation.